A European lawyer and former litigator at the US Department of Justice has said that given how cartels operate, whistleblowers should not have to go through an internal reporting system at their companies when reporting evidence of potential antitrust offences. 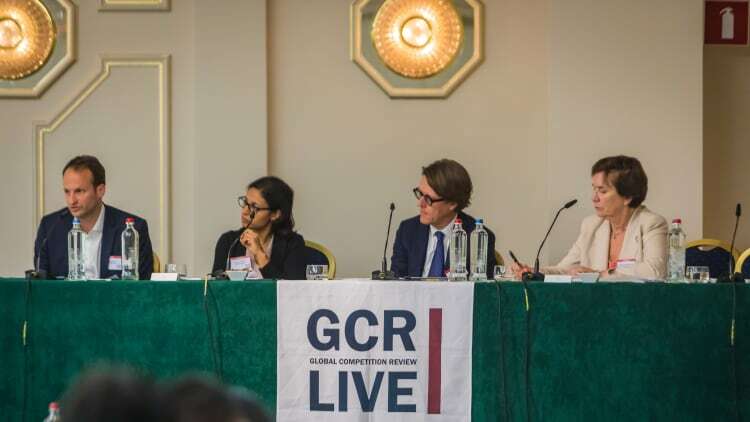 Speaking at GCR Live Brussels last week, Hansberry Tomkiel partner Dorothy Hansberry-Bieguńska questioned a provision in the EU’s proposed whistleblower directive that instructs employees to first use their company’s own internal system for reporting offences. The new directive, when it comes into force, will require companies with a certain number of employees or amount of revenue to set up a confidential internal reporting system for wrongdoing. “The wording [of the directive] is the whistleblower should first use this internal system in the company to report wrongdoing unless there is no system, or unless it would not be reasonable to use such a system because of the violation,” Hansberry-Bieguńska said. However, the directive contains no requirement for the internal reporting system to be anonymous, only that it should be confidential, she noted. Hansberry-Bieguńska said it “doesn’t make sense” for a whistleblower to first go through his company. In the case of cartel conduct, “a fair amount of the time it’s by high-up management, and it doesn't really make sense to me for a whistleblower to be going through his company’s channels to report,” she said. In April, the European Commission presented its whistleblower proposal to the Parliament and Council. The proposed changes include a guaranteed presumption of innocence, right of defence for the accused, and steps to ensure a whistleblower's identity is protected. Speaking alongside Hansberry-Bieguńska, Allen & Overy partner Christian Bayart said if the proposal goes ahead, it would be a significant step in harmonising the approach to whistleblowers across Europe. The protection offered to whistleblowers in Europe is “patchy”, he said, with some jurisdictions giving a high degree of protection, and others none at all. Bayart said whistleblowing policies under strict scrutiny from privacy authorities have been implemented in Europe, and the “legal framework” remains unclear. “The commission proposal would really be a cultural shift,” he said. DG Comp also launched a new programme last year that allows whistleblowers to remain anonymous by accepting encrypted, anonymous messages through an external service provider. Hansberry-Bieguńska and Bayart were speaking alongside Baker McKenzie partner Creighton Macy. The panel was moderated by Peters & Peters partner Jasvinder Nakhwal. The GCR Live 10th annual Brussels conference on “the bigger picture” concluded last week.